Appointment purpose was to diagnose slight smell to water and to gain understanding of workings of the Kinetico system. John was very pleasant and professional, and I learned a lot about water quality and the way to keep my system working properly. 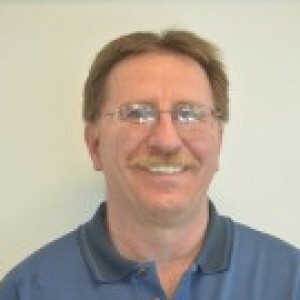 He is very knowledgeable and I'd recommend his expertise and demeanor to all who use Gordon Water Systems. John Wier came to my new house I am building. He called ahead, we met, we discussed the install, he made recommendations, performed his work then called me when he completed. We went over everything he installed and he walked me through every process to use the system and answered all of my questions. John was very knowledgeable and pleasant to work with. I recommend Gordon Water and their products but especially their install techs like John Weir. Thanks for another success on a new build with me! Excellent customer service and a no pressure sales call. Very pleased. My service tech, John was very through and helpful. A very good experience. John, the service tech, did a great job of diagnosing our water problem and getting it fixed quickly and economically. Thank you. John W. From Gordon Water Systems-Kalamazoo was professional and fixed our softener. He was friendly. I would recommend him to others. Knew exactly what I was talking about and had a solution. The part to adjust the recycling was in his possession and installed efficiently and quickly. All around excellent service. Tony K telephoned before he arrived and he arrived on time. He did a good job explaining how our system works and why certain repairs were needed. I felt comfortable having Tony in my home. We installed K5 RO System for drinking water in our new home through Gordon Water System and we are very pleased with the product and the service we got. Justin and Brandon (Install Tech) both were professional and easy to work with. Justin recommended a great product. K5 has great flow and also larger tank capacity than conventional RO System.. We use lot of drinking water in cooking so it works out great for us.. Brandon who came to install the unit was knowledgable and quick and did the work professionally. We also got a whole house prefilter installed via them too! John Weir came over to install a new Gordon Water RO treatment system. He called while on his way, and showed up on the day and time expected. He is very professional, and seems to take great pride in his work. He did everything he said he would do, and his attention to detail is refreshing. He took the time to answer all my questions and make sure I was comfortable with everything. Additionally, we enjoyed good conversation while he worked. Very well done, sir. Thank you, John! Brendan, was very courteous, friendly and represented Gordon Water very well. He was very professional and tried to help me with picking out new water softener. I would ask for Brendan on next service call. We have always been pleased with Gordon Water services. They are kind helpful and considerate. John Weir came today and he did a great job of servicing our soft water system. Kind, quick, careful and a educated me in some areas I didn't know about. A quality representative of Gordon! Mo is very personable and friendly. It is always nice to see his smiling face. Mo always responds quickly to our needs. We love his energetic and positive attitude! Tony called ahead, was very efficient, and cleanup up after he was done. He ran into some unexpected issues but fixed everything with time left to spare. John W. was very professional and knowledgeable. Job well done. John did a thorough and efficient job. I appreciated his attention to quality of my water systems. Tony did an extremely thorough job and cleaned up after himself. I appreciate his thoroughness and went the extra mile in addressing the issue I had. He is a good image of Gordon Water's service. Tony did an excellent job, he's very knowledgeable and solved problems he didn't even know we had. **** was very knowledgeable and thorough in assessing the current soft water system and recommending options. Justin was excellent in determining our water quality and what equipment would correct it to our expectations. He was thorough in his testing, explanation, and evaluation of our options. Our service professional, Tony K, was also excellent for the installation of our new softening system. Extremely knowledgeable and experienced - he made the entire process look effortless. He also accommodated our special requests with ease. Both men were polite and professional, definitely would recommend their services to others. On time, great service and Tony explain what I needed to do to maintain my water softening unit. Tony did a great job and explained everything well. Had a great experience with the install on my water softener and filtration system. I wasn't able to be there for the install so Tony came back again the next day to help me troubleshoot a few things and to give me detailed instructions on maintenance of both systems. Very friendly and professional. He labelled everything, explained everything and let me take notes so I am more informed when I need to do maintenance on my equipment and prepared when I need to do a filter change. I was so impressed, he was just excellent! Tony K. was very thorough and professional. I wish everyone in the service sector was as friendly as he is to his clients. Tony K. was very knowledge and helpful when servicing my Gordon system. Very pleased with the sale & installation of our water softener. The Service Tech, Tony K. arrived early, was friendly, & polite and did a great job in a respectable amount of time. My husband& I couldn't be happier. Tony was fantastic. He explained everything he was doing and different options to take care of the repair. I was impressed with Tony's knowledge and people skills. Tony was awesome and just the perfect gentleman. I was just really impressed with his explanations and not only did he install our new RO system, when he noticed that we had a Kinetico softener and we told him we had too much water in the brine tank, he didnâ€™t hesitate to take a look at it and noticed that one of the valves was broked. He fixed our softener no problem and itâ€™s been perfect since. So Tony was just awesome, we had great conversation with him, he was very personable and we are just very happy with our water quality now. Tony did a great job. I even remember Tony from an install he did for his business 9 years ago. Very pleased! I loved Tony. I haven't seen him in three years but I was excited to know he was coming because he was great last time. He always treats us like family and is a remarkable man and employee.